With this Bible study, a companion book to A Sacred Sorrow (9781576836675, sold separately), you and your small group can fully grasp the importance of voicing your hearts joys and pains to the Father. Job, David, Jeremiah, and Jesus Himself understood the necessity of lament. Sacred Sorrow Bible Study by Michael Card was published by Navpress in February 2005 and is our 54174th best seller. The ISBN for Sacred Sorrow Bible Study is 9781576836682. 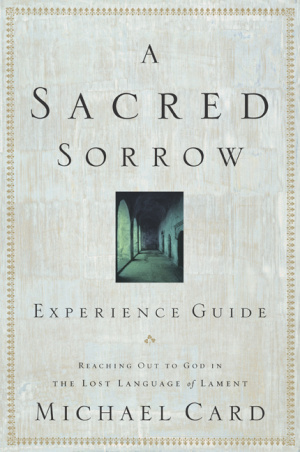 Be the first to review Sacred Sorrow Bible Study! Got a question? No problem! Just click here to ask us about Sacred Sorrow Bible Study.